Danielle Ní Chróinín is a Specialist Registrar in Geriatric Medicine and an enthusiastic educator. The degree to which geriatricians are involved in the community in Europe varies from country to country, but in the United Kingdom and the Republic of Ireland community geriatrics is becoming an increasing element of the geriatrician’s work. (This article has been re-blogged from the British Geriatrics Society blog). This entry was posted in Community Care, Research, Training and tagged career choices, general practice, geriatrician, gp, medical students on 22/08/2013 by Webitor. Prof Kenneth Rockwood is Director of Geriatric Medicine Research at Dalhousie University, Canada and serves on the International Advisory Panel of Age and Ageing journal. Prof Susan Howlett is also at Dalhousie, University, Canada in the Department of Pharmacology. This entry was posted in A&A Journal, Biology, Epidemiology, Research and tagged DNA, mitochondrial dysfunction, protein homeostasis, stem cell on 14/08/2013 by Webitor. 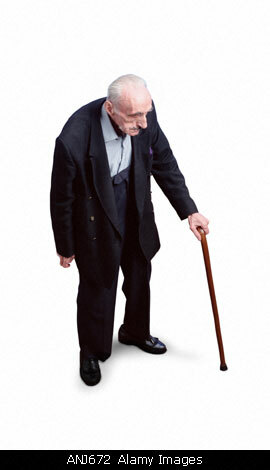 The inaugural UK conference on sarcopenia was held in central London on 9th July 2013. Delegates included clinicians, therapists, nutritionists and scientists, with representatives from Spain, Belgium, the Netherlands, Poland, the Ukraine, the United States and Japan. This entry was posted in Age, Biology, Epidemiology, Muscles, Research, Sarcopenia, Social Gerontology and tagged angiotensin, exercise, gene, grip strength, mitochondrial dysfunction, muscle weakness, testosterone on 12/08/2013 by Webitor.